Catholics For Family Peace Education and Research Initiative is part of the National Catholic School of Social Service’s Consortium for Catholic Social Teaching at the Catholic University of America. Visit our page at The Catholic University of America. 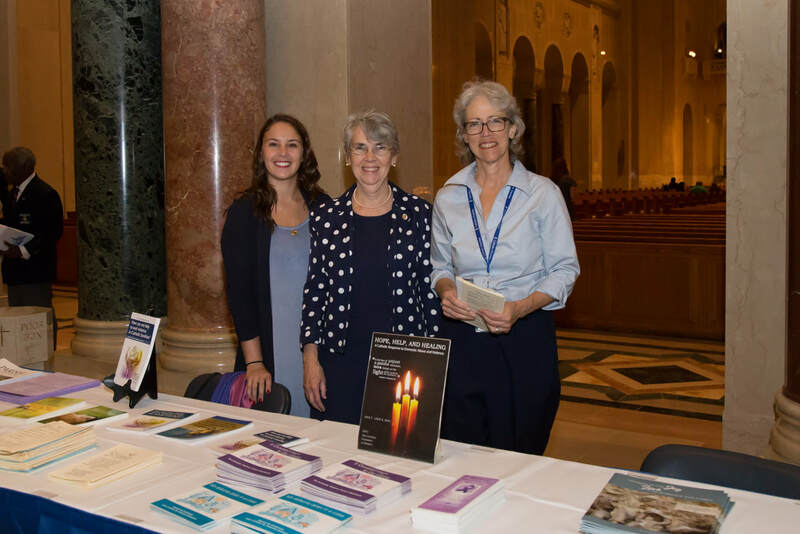 We aim to inform the Catholic community on ways to promote family peace and to prevent and respond to domestic abuse and to provide resources and promote prayer for all families. 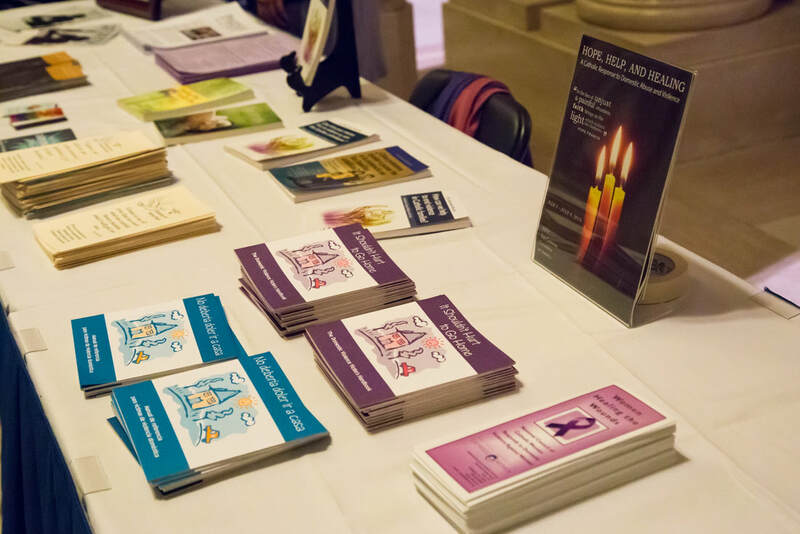 Our initiative provides education, resources, and research that help pastoral leaders, clergy, and parishioners recognize domestic abuse and respond with compassion. 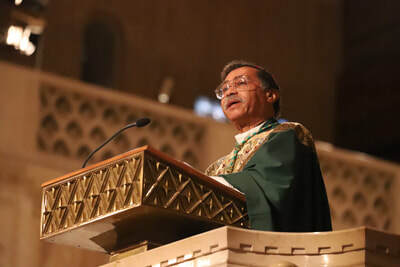 Catholics for Family Peace also serves as a clearinghouse for effective pastoral practices of the universal Church that address violence in the home. 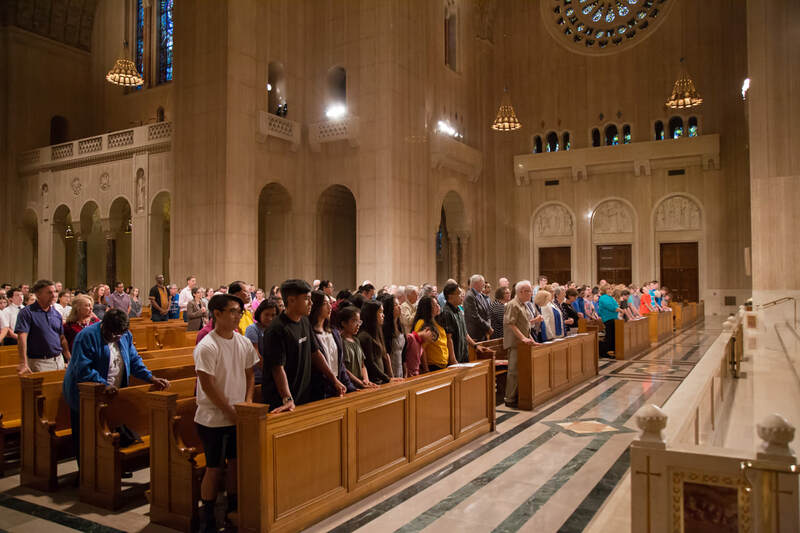 Training and information presentations may be scheduled at parishes, seminaries, and for organizations. To schedule a training, contact us. ​There is much to learn and share about the Catholic Response to Domestic Abuse. Our Faculty Associate, Christauria Welland, Psyc. D. has authored How can we help to end violence in Catholic families: A Guide for Clergy, Religious, and Laity. It is good information for anyone. You can download a free copy at www.paxinfamilia.org. At present, there are 9 versions of the 100-page booklet in six languages. Rose Saad, ER nurse and Catholic survivor of an abusive marriage, writes a blog where she explains how things like denial and fear play into an abusive relationship. Ms. Saad is also an author and has used her experience and her compassion to write A Path to Hope: Restoring the Spirit of the Abused Christian Woman. for those affected by domestic violence. October is a very important month for us because it is Domestic Violence Awareness Month (DVAM). As an initiative focused on education and prayer, we developed resources, organized events, and created social media posts for YOU to use, attend, and share in the month of October. We are excited to share our 2018 Domestic Violence Awareness Toolkit. Were you unable to attend the Mass for Family Peace in October 2018? Don't worry! 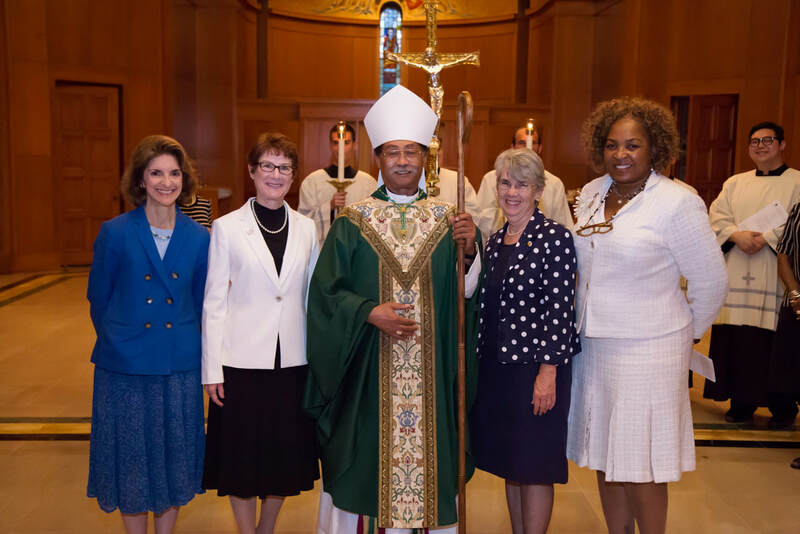 We recorded Bishop Campbell's homily, and it is now available for viewing and sharing. Click on the link below. Please take the time to listen to his message, and let us share in the joyful hope we have as advocates for all people's safety and dignity. Take a look at our pictures from the mass. ​​Follow us on Facebook and Twitter all year long for graphics and easy-to-share messages to spread the word that domestic violence is not acceptable, and that family peace can happen! 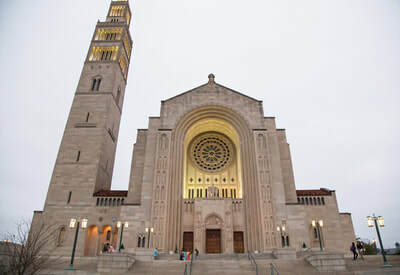 Throughout www.catholicsforfamilypeace.org, links to other websites are provided solely for the user’s convenience. Catholics For Family Peace Education and Research Intiative assumes no responsibility for these websites, their content, or their sponsoring organizations.